Mary (?) married Joshua Haughton. Frederick Albert Houghton married Lois Ann Hampton in 1830 w/1. Frederick Albert Houghton married Mary Whittington in circa 1840. George French married Sarah Haughton, daughter of Henry Haughton and Joanna Townsend, in Jan 23, 1834 at Madison Co., NY, USA. George French married Eliza J. Haughton, daughter of Henry Haughton and Joanna Townsend, in Dec 24, 1840 at Madison, Madison Co., NY, USA. Sarah Haughton married George French in Jan 23, 1834 at Madison Co., NY, USA. Eliza J. Haughton married George French in Dec 24, 1840 at Madison, Madison Co., NY, USA. 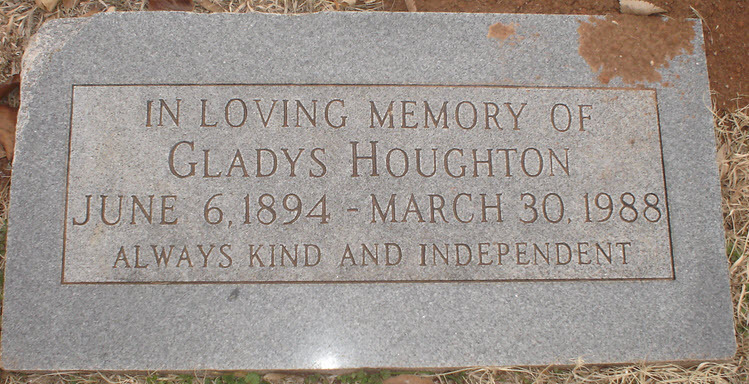 Roswell Haughton married Sabre Sheldon in Dec 30, 1840 at Adams Co., IN, USA. James Haughton married Amy Hannah Hatch in Mar 6, 1837 at Eaton, Madison Co., NY, USA. Mary Whittington married Frederick Albert Houghton, son of Luke Houghton and Mary (? ), in circa 1840. 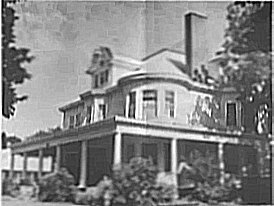 Frederick Ernest Houghton married Carrie M. McKisson in Nov 15, 1874 at La Salle Co., IL, USA, Lic. 615, Book E.
Frederick Ernest Houghton married Bertha Beatrice Killoug in Aug 29, 1890 at Logan Co., OK, USA, he age 36; she, age 17; mar 16 years in 1900 census; Winfield, Cowley Co., KS also. LaVanchia Nianetta Houghton married George Edward Weston. Embrazia Houghton married John Hiram Leonard in 1866 at Vinton, Benton Co., IA, USA. Maria M. Houghton married George A. Durand in 1862 at PA, USA. John A. Houghton married Mary Bower in circa 1857 mar 43 years in 1900 census. Stephen Brian Suddeth married Margaret Mary Schmidt. Carrie M. McKisson married Frederick Ernest Houghton, son of Frederick Albert Houghton and Mary Whittington, in Nov 15, 1874 at La Salle Co., IL, USA, Lic. 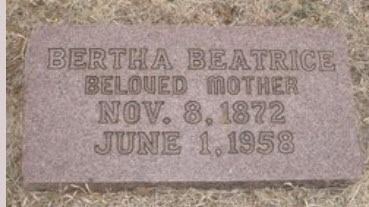 615, Book E.
Bertha Beatrice Killoug married Frederick Ernest Houghton, son of Frederick Albert Houghton and Mary Whittington, in Aug 29, 1890 at Logan Co., OK, USA, he age 36; she, age 17; mar 16 years in 1900 census; Winfield, Cowley Co., KS also. Coralee Augusta Houghton married Wilburn Walter Houser. Alma Gertrude Houghton married Rev. Vernon Troy Suddeth in 1920 at Lane Seminary, Lane, Franklin Co., KS, USA. Frank Ernest Houghton married Lorene Byars. Adolph Theodore Houghton married Lola Myrtle Hughes in circa 1920 age 18 and 17.